Mr. Anil Sharma left his job few months back and had not joined any other job after that. He had worked for almost 15 years in his previous company and therefore had a good amount of corpus accumulated in his EPF account, meanwhile due to an emergency in his family he wanted to withdraw his EPF immediately. To his disbelief, his claim was rejected quoting mismatch in his name. Anil could have averted such a situation had he updated the EPFO with his correct credentials. A small mismatch in your credentials may cause a lot of trouble at the time of PF withdrawal/transfer. Employee’s Provident Fund Organisation(EPFO) has made a provision for the name change/correction for EPF account holders. You can update your credentials through online as well as offline mode. EPFO website is in a transition phase. Almost all the services are shifting from offline to online mode. To change your credentials online, EPFO is providing an online platform; EPFO UAN portal. You need to have your UAN number, mobile number and password to access your online account. But, before I take you through the procedure for changing your credentials online, let me give you a brief introduction about UAN. The UAN is made of 12 digits allotted to all employees contributing to the EPF. The UAN is a landmark step to shift the EPF service to the online platform, making it more user-friendly. The UAN of the employee remains the same throughout the service life. It doesn’t change while changing jobs. If you don’t have a UAN, maybe because it’s your first job. The employer will appeal to the EPFO for generating the number along with the member identification number (ID). 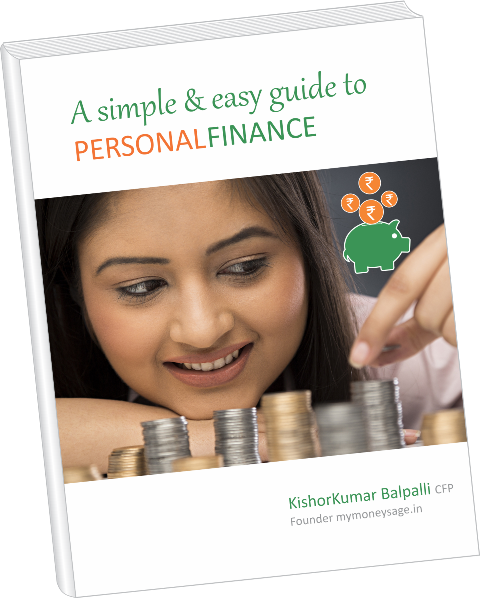 The member ID is the number given by EPFO for allowing the employer to deposit your EPF money. For an employee already having a UAN, the employer will request the EPFO to generate a new member ID for the employee. The member ID will then be linked to the employee’s UAN. The employer will then give the UAN to the employee(s), who have to provide their Know-Your-Customer(KYC) documents to the employer. As I said earlier, you must have UAN number, mobile number and password to login to UAN portal. If you don’t remember your password or have changed your mobile number, then you have to create a new password/ update your mobile number. EPFO UAN portal gives you the option to change your mobile number under the ‘Profile’ menu. This is possible only if your old mobile number is still active. However, if you have forgotten your password and don’t have your mobile number as well; then you have to submit an online request through EPF UAN Helpdesk portal. Currently, Beta version of this website is available due to which you may encounter some technical issues with the portal. In such a case, it is recommended that you submit the offline application through your employer to update your credentials in EPF account. There is a prescribed format available for the name change which has to be duly filled and submitted to your employer. You have to follow the procedure mentioned above. A joint request from the employee and the employer has to be sent to the concerned EFPO Field Office. Option to change the date of birth is also available in the form. You have to follow the procedure mentioned above. You have to submit the date of birth proof along with the application. Any of the above mentioned documents which include your date of birth can be attached. This option is also available in the form. Kindly follow the procedure mentioned above. Currently this facility is not available in the EPFO portal. As of now, you can change the address at the time of PF withdrawal/transfer. All you have to do is provide your address proof. my concern is to change my complete name and dob as well in company and epfo also. how will be change both. You have come to the right place for your problems. The process is very simple and quick. 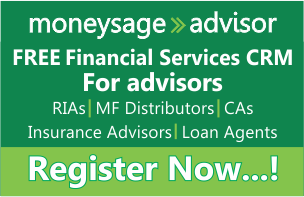 It will intimate the changes to your employer as well as to the EPFO. “Click here to download the format”. • Attach the self-attested copy of any of the documents like birth certificate, aadhar card, passport which contains your name and date of birth. Thank you so much, I am really happy with your guidance thanks again. Thanks for being such an enthusiastic reader. It seems like a lot many individuals are facing the similar issue like you. The EPFO hasn’t mentioned in any of its circulars and FAQs regarding deadlines for responding to name change requests. If things don’t improve, you may register grievance on epfigms.gov.in. As a last attempt, you may file RTI to know status of your name change application. The issue that you are facing right now seems very similar to one of the queries below. You may consider the steps suggested below. My name in the PF login page using UAN shows as Vinay Krishnan, but my name in the bank account details provided to EPFO is Vinay Krishnan P. Do you think this will be a problem and result in rejection during withdrawal? Should I get it changed to be on the safer side? Could the missing initial in the name become an issue? Firstly, a hearty thanks for reading the article! Let me tell you that any kind of mismatch in any of crucial credentials like your name, date of birth, father’s name, address, etc. may cause trouble at the time of filing withdrawal claims. 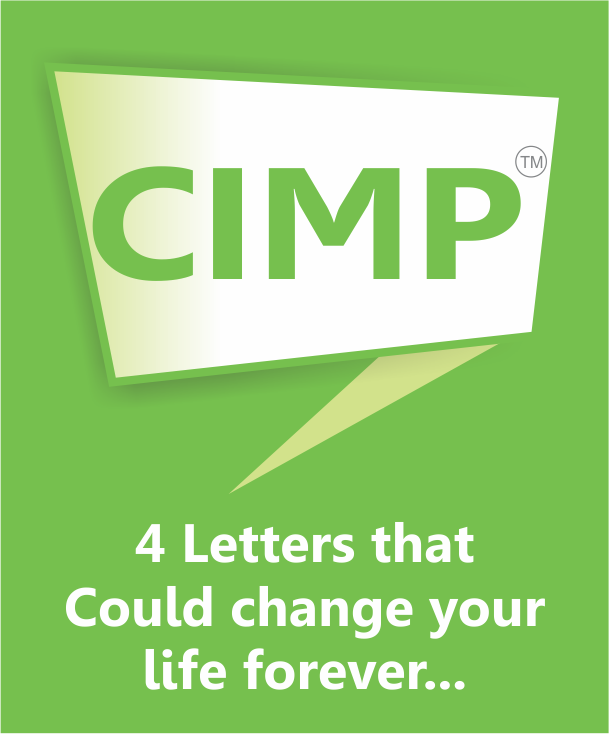 You need to ensure uniformity across all your documents. • Attach the self-attested copy of any of the documents like birth certificate, aadhar card, passport which contains your name. My DOB was entered incorrectly by my previous employer. My current employer has asked me to get that updated by my previous employer but they are not responding to my emails/calls. Is there any other option to get that updated? What is the loss if I’m not able to update my DOB? Will I lose my entire PF amount or only the amount I had when I left my previous employer? At the very outset, it feels nice to have dedicated readers like you! Matters pertaining to PF tend to be critical. Any kind of discrepancy in your credentials is likely to create trouble at the time of filing claims. You need to ensure uniformity throughout the process. • Attach the self-attested copy of any of the documents like birth certificate, aadhar card, passport which contains your DOB. • Your employer will then send the application to the concerned EFPO Field Office. Firstly, thank you for reading the article! We understand your predicament and inconvenience that you are undergoing right now. In my UAN portal fathers name and DOB both are wrong. UAN was created by my previous employer and I have with draw my PF amount also from that account. I want to know weather I have to get seal and signature of current employer or previous employer? Hearty thanks for reading the article! Now you can update your UAN credentials even without involving your employer. You need to get the seal and signature of the current employer. Thank you so much, I am really happy with your quick response. One of the helps in my office needs help. His UAN number is 100215408197 and has incorrect name. He has submitted application last year for correction of name but has not been corrected as of now. Please could you advise what action should be taken now. I was working with a MNC in Bangalore before getting married. Then, I changed my surname and I’m working with another company in Noida under the new surname. I have also got my name changed in my PAN and Aadhar card. I have a UAN under my maiden name and both my PF accounts are linked to it. I’d like to transfer/ withdraw my PF amount from the previous company, but neither of the company knows how to go about it. Also, my Aadhar was not KYC registered in the portal, so it makes it difficult to do so online. Please advise as I do not want to let go of my hard earned money. You must fill the forms form 9 and 10c and take the concerned person signature and submit those forms in pension office it takes 45 to 60 days so that your pf amount will be credited. Enrolled with UAN Number 100763449573 which has been enrolled and completed by my Previous employer, but my father name is wrongly updated in the record. currently i am in Bangalore and previous employer is situated in Jaipur Rajasthan. So please help me with the solution or advice me the next course of action in this regards. It feels good to have dedicated readers like you! • Attach the self-attested copy of any of the documents like birth certificate, aadhar card, passport which contains your father’s name. i want upload my aadhar no but its showing wronge name ,gender,no.. I have 2 UAN numbers created by my previous employer (located in Bangalore) and current employer (located in Chennai). The problem is that my name and my father’s name in the previous UAN account needs to be corrected as it is wrong. (I think else it will be a problem even if I requested for EPF transfer). Can I raise for the name change for the previous UAN using the downloaded form through ‘current’ employer? Or should I need to approach the ‘previous’ employer only? I have a name change requirement, I just want to know that “can my employer change my name from their management portal?” or “submitting joint application through my employer is only the option?”(since Help desk portal is not working). You need to submit a joint application through your current employer to rectify the situation. My name is BHAVESH SHAH and working in a Bangalore based company since 9 months. Previously, I was working in Ahmedabad. I already had a UAN number from previous employer but got a new one from present employer because of some reasons. I am having following 2 concerns. 1. In my old UAN, there are 2 employers A & B and I can see 2 different passbooks where fund of A is yet not transferred to B. 2. Now, I have to transfer funds of both A & B (from old UAN) to C (with new UAN). Please guide me ASAP so that I can initiate the process. Your problem relates to possessing multiple UANs. This should not happen ideally. One employee should have one UAN. • You are advised to apply for the transfer of PF amount from old Provident Fund account to the current Provident Fund account. • On a periodic basis, the EPFO system will identify the cases in which the PF transfer has been effected between the EPF accounts and where these EPF accounts have different UANs attached to them. • After the identification of all such UANs (old UANs) where PF transfer has been effected to PF account having distinct UAN (new UANs), such UANs will be deactivated and blocked for further use. This will be applicable to all such identified UANs even if there is no request received from the EPF member. • After the deactivation of the old UAN, your previous Member ID/EPF account will be linked to the new UAN. • You will then be informed of the deactivation status of the previous UAN through SMS to your registered mobile number. Further, you will be required to activate the new UAN (in case the new UAN is not yet activated) to receive the updated status of your EPF account. • There may be a possibility that some of your PF amount is pending with your previous employer, and you are about to receive it. In such a scenario, the system already has the new UAN against the deactivated UAN. Hence, the system will automatically display the new UAN in the ECR (when your employer punch in your Member ID or old UAN), and the statutory contribution by the employer in contrast to the arrears will be remitted to the new UAN only. I hope your issue will be solved at the earliest. My case slightly different. I request to help me in terms of processing steps for my concerns mentioned as 1 & 2 in my original query. establishment of company. I belong to Jhansi (Uttar Pradesh), please help me? I had a correction required in my name and gender. i have submitted the joint application with employer and the proofs. Its almost a month and i don’t see any update and changes in the portal. any idea on how long this process wil take? as currently i am not in India and i have got married and migrated out of the country. If you have an active KYC-compliant UAN, updating details online is a cakewalk. You can update your name and gender by going to the ‘Profile’ menu and selecting ‘Update KYC Information’ in the Member Portal. The uploaded KYC document by you will be approved by employer till then status of KYC will be shown as “Pending”. It barely takes a fortnight to approve the changes made by you. It’s unfortunate that you haven’t got updates yet. Making PF claims have become easy with online facility provided by EPFO. The only thing is to have an active KYC compliant UAN. There should be no mismatch in the details of UAN and other KYC documents submitted by you. You can get the details updated by going to the ‘Profile’ menu and selecting ‘Update KYC Information’ in the Member Portal. The KYC documents uploaded by you will be approved by employer, till then status of KYC will be shown as “Pending”. It barely takes a fortnight to approve the changes made by you. Hope your issue gets solved timely. My UAN is 100126019703 which i received from my last employer. However, I am unable to check status and activate UAN as it is showing date of birth mismatch. Kindly help me how I can activate my UAN? 3. EPFO will send an authorization PIN to your mobile number, once you enter the aforesaid details. 4. Submit the PIN received in your mobile and activate UAN. 5. Generate your login ID and password to complete the registration process. Hope you be able to activate UAN. can i submit joint application and PF withdraw form at a time .?? Due to improper updation of my profile (Gender) i am not able to update my KYC details.is it necessary to update KYC details for pf withdraw. Also there is change in initial like MS.Payal Naik there is Mr.Payal Naik. Sir please help me out . Being KYC Compliant is the foremost requirement to be able to operate your PF Account. Whether it’s a PF transfer or a withdrawal claim, you need to ensure that your account is KYC Compliant. 2. Linking Aadhaar, PAN, Mobile Number & Bank A/c to UAN. I had name mismatch in uan account name and I have already given for name correction through my employer, I just want how many days will it take for the correction to get done. Ideally, it may take at least 15 days to implement the changes that you need in your UAN Account. Thank you for replying …. Hi Hafeel, my employer has given an application for gender updation as it’s showing not available on my account under gender section. It wasn’t updated from employers end earlier. Application was given on 28th August, 2017. I am awaiting the correction. Is your correction done yet? I got married and got my name change on both aadhaar and PAN as well as on bank account. I was unemployed for about year. and now I got a new job. They told me that since my name has been changed they will create a new UAN number and they have processed my application also. 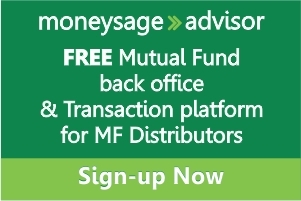 now how to get the money in my old PF and pension account? with the name change, wilol I be able to trasnfer the amount to my new PF account? You can update your name by going to the ‘Profile’ menu of UAN account and selecting ‘Update KYC Information’ in the Member Portal. The uploaded KYC document by you will be approved by employer till then status of KYC will be shown as “Pending”. Can i do withdrawal in online if name is mismatched? 3.Ensuring your personal details match and are consistent in all these credentials. My PAN no.is wrongly mentioned by employer , can it will create a problem to withdrawal of PF?? If yes, then what is the procedure to Change the PAN no. Do you know PF amount can be transferred online without employer intervention! For that you need to have an active UAN. Moreover, your Aadhar number, mobile number & bank A/c must be linked to UAN. Upon joining the new company, your employer must have generated a UAN. In that case, you would have to merge multiple UAN as well. You can correct your name by going to the ‘Profile’ menu of UAN account and selecting ‘Update KYC Information’ in the Member Portal. The uploaded KYC document by you will be approved by employer till then status of KYC will be shown as “Pending”. So can please give me some suggestion regarding this. There is a mismatch with my name on my UAN account. My employer has mentioned my father name in the UAN account along with my name but none of my documents carry middle name. Now when i am trying to link aadhar card to my UAN account it is not allowing me to link it and its giving an error because my aadhar card does not carry any middle name and infact none of my ID’s carry middle name? can you please suggest what to do as i want to withdraw my PF? and also wanted to know how much time does it takes for name corrections and which is the quickest way ? i am unable to access UAN Helpdesk also. Your problem looks a bit tricky. Such a correction might not be possible online. But don’t worry. There’s an offline way to get your name corrected. You need to submit a joint application to EPFO which is attested by your employer. Just visit your employer and submit the request to your employer with supporting necessary documents. Employer in return will contact the concerned EPFO Field Office for change. I am working as an HR in a Company and there are many employees with incorrect details in their PF account. We have sent the Joint correction form almost 7 months back but no action has been taken. Recently someone suggested me that I can send a letter to the PF department with a attached table containing details of all the employees and the correction to be done. Please suggest me If I can do that. And let me know if there is any prescribed format or process for it. Hi,My second name is given wrong by my HR for uan account and that company is closed now and am not able to link my uan account with aadhar no now and I need to withdraw money urgently, wat i can do now? My Birthdate is incorrect in UAN account and DOJ and DOL is not added by my previous employer. Its been a year now i have left previous company. Can my prev employer still add/change these details? I have submitted form to PF office to correct my birthdate, however no response as its been 2 months now. I submitted in Grievance site as well, but they didn’t provide me registered number to track. Can my prev emplyer will be able to update my details as being there ex-employee? Can I submit Joint Declaration form for DOB correction in non home PF office. Means I have PF account in Visakhapatnam PF Office and I want to submit form in Hyderabad PF Office. Hi,My second name spelling is given wrong by my HR for uan account and i have all document is other name my name is RAM DATT BUT PF Account name is RAM DUTT so how i change online .when i doing change online name change all step are complet but error in the end .not submit online name change .and when i visit kyc form online i have been add pan no and account but adhar no is not submit in kyc form invalid gender name error so how i change name and how i submit adhar no in kyc ..please help me . I am Ashok Bhowmik my una no:100094496731,and my father name wrong mentioned by employer .MY father correct name is Jajneswar Bhowmik and my doj is not updated .my doj is 01.12.2009. I had applied for a PF Withdrawal past 3 months and my previous employer said that there is a mismatch in my PAN name and had sent to EPFO to get the changes made. Does it really take 3 months for a PAN name change. 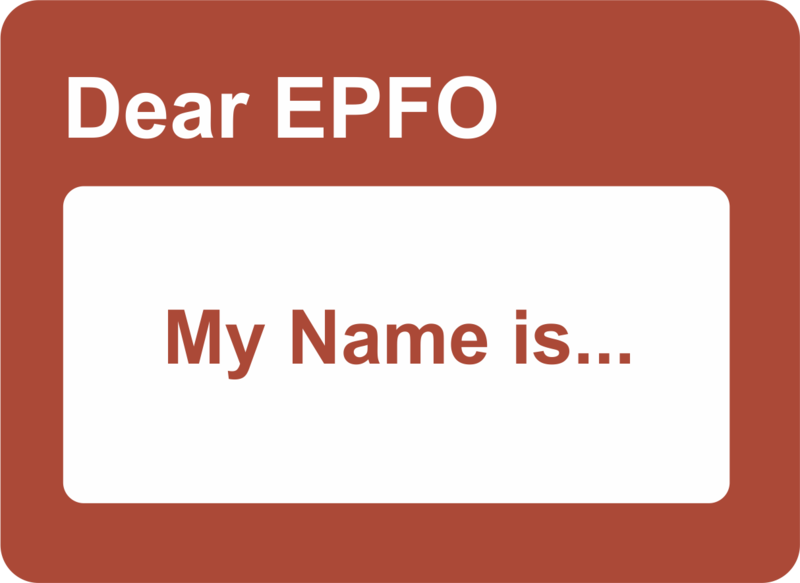 How can i check if my PAN name change is really sent to EPFO by my employer. Irrespective of about 40 emails sent my employer is stuck with the same answer that “you know how the government works” I somwhat do not trust these people of my previous employment. Please advise . We empathise with your problem. Ideally, it shouldn’t take more than a fortnight to incorporate the changes suggested in the PF credentials. But why it’s taking so long in your case is worrisome. You need not lose heart. Instead, you can register your grievance with the EPFO. You need to visit epfigms.gov.in and click on “Register Grievance” in this regard. All grievances related to withdrawal, transfer of accounts, insurance benefits, cheque misplacements, etc. can be tendered over the internet. Hope this helps you in getting the claims settled. I Had Name Mismatch in Uan Account Name and I Have Already Given for Name Correction Through My Employer, Employer Status is Accepted, But Not Done For Field Office Till Now–(More Than 10 Days) I Just Want How Many Days Will it Take for the Correction to Get Done. My father name’s initial is wrongly updated in the record. How do i correct my father name’s initial? can i link Aadhar,PAN directly in nearest PF office ? If i submit offline for correction within how many days it will be rectified ? I have requested for a change in name and date of birth a couple of weeks back and the same has been verified by my employer. Till now it shows pending at field office. How long does it take? I have resigned from my job. Employer updated my relieving date in epfo portal. So in this case how can I change my basic details in epfo? I created update request in Online, it is pending with employer approval? Who can approve that request? HOW TO UPDATE MY FATHER NAME? If anyone know solution to my pbm kindly help. My name & DOB is wrongly entered in epf account by my previous employer & that company got shut down now. I tried correcting online, which is approved by my employer & rejected by filed office saying submit additional documents. This is bz my adhar is not linked with epf account i feel. Now i joined new organization recently, when i spoke to these finance guys, they can’t edit the existing details. So i am clueless what to do. Please do revert with what best way to get my name & DOB corrected. 2. If no, then can i submit joint correction form from new employer or old employer. 3. If new employer then fine bz my old company is closed. 4. Is there any possibility of submitting documents directly with PF office (had been to KR puram office once, nobody will respond to your query so felt no use of going to pf office). Please revert with possible way to get my name & DOB correction. My Name in PAN Card is not matching with UAN. Name in PAN has my middle initials too. But UAN Name is matching with Aadhar name was able to verify my Aadhar. But not able to verify my PAN since the name is mismatching. Will it be a problem if I try for Withdrawal. As, i can n’t Activate UAN. It shows- “member name does not match with the available data”. Kindly, suggest to me. I tried to update the correct Name and DOB in “Modify Basic Details” section of https://unifiedportal-mem.epfindia.gov.in/memberinterface/ but it’s still showing “Pending at employer” end, which will be never confirmed by my last employer because it’s permanently shutdown. Now I’m feeling hopeless, how to update and withdraw my money; so please help to resolve my issue as I need the money on urgent basis. I have my name changed after marriage due to which PF transfer claim is Rejected stating name is different. Raised grievance in EPFO & got reply stating I need to fill joint declaration & submit the form to EPFO office. I have query here, is the joint declaration form I need to submit is with current employer or previous as current employer is having correct name already. Old name was in previous employer. Also Seal & Signature should be of current employer or previous? I have two Organizations “A” & “B” in my UAN and I have left the both. I want to withdraw the full part of my PF associated with the first Organization ie “A”, since the second Organization’s PF is already credited to my account at the time of leaving. I was told to update my basic details and KYC in the UAN portal. I have updated the basic details in UAN and it was approved by my first employer “A”. Now I am trying to to update my KYC with AADHAAR with the same employer, but the Organization Approval is going to the employer “B” automatically. I am not getting any option to change the employer approval from “B” to “A”. Even after several attempts, I am unable to contact Employer “B” and get the approval done. It would be a great help if You get back to me. My name is wrongly updated in UAN due to which I am not able to link my aadhaar to UAN. Please let me know how to get it correct so that I can link my AAdhaar to UAN. Hi I am not able to link my AADHAR to UAN due to name in AADHAR is given as Mogullapalli Tharun and in UAN it is given as Tharun Mogullapalli.Is that a problem? I have one query. Recently while linking Aadhar with UAN i found that the DOB is not matched. Hence i submitted a request online and got it approved by the employer, but it got rejected by the field officer stating “document proof for change of dob along with joint declaration”. How should i proceed on this. Your suggestions/Help on this will really be helpful. My date of birth was wrongly entered in my EPF records by my previous employer. She didn’t even created UAN number for me. When I request it to correct the DOB, the previous HR had submitted a joint application with my DOB proof on 2016. But still now it is not yet corrected. How long it will take to correct the same. My prevoius HR is not responding to me. What should i do? Please help me. Epfo problems solutions are here. Ur problem will be solved guaranteed. My UAN is generated with a registered mobile no. that is not in use now. I have tried every online way to change my registered mobile number for my UAN account, but iam getting the “Details not matching” error every time as my company has not linked PAN or Aadhar details maybe. Is there any way I can change the registered mobile no for my UAN offline? Please suggest as it seems even my company is not aware of it. In my UAN my father’s name is incorrect. I would like to change the valid one in order to merge my UANs. please assist on how to update my father’s name into UAN. My company was Closed in 2012 after that I am not able to withdraw my PF due to name mismatch. Kindly help me how I can correct my name & withdraw my PF. Are you claiming Shares from IEPF ? Capital Experts help you to get the IEPF Share Claim Consultants,who will give you solution of Share Problems for NRI . am unable to claim for pf advance form-31 am getting error message, ”OTP Verified but the data available against the UAN in system is not matching with the data available with UIDAI ( AADHAAR)” even i checked both between uan and aadhaar but there is nothing any issue such as DOB, GENDER, NAME and father name Etc.. even matching with each other …is there any other way to solve this issue? ?